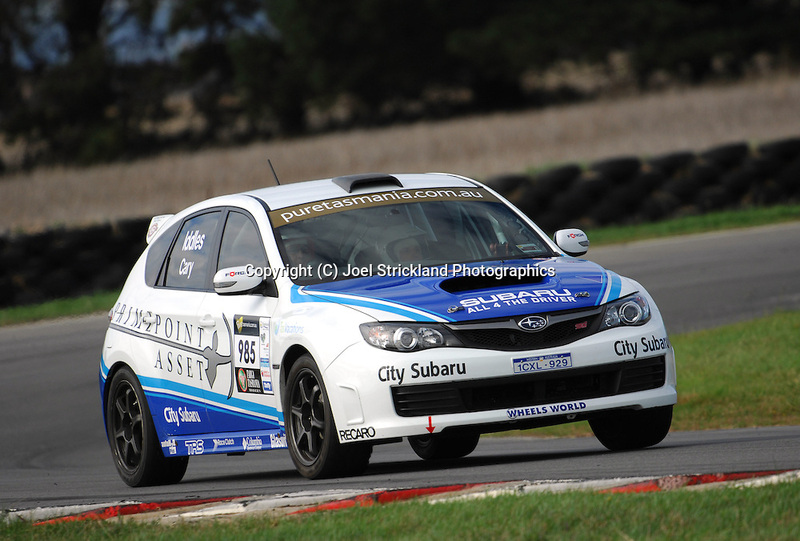 #985 - Graham Iddles & Shane Cary - 2008 Subaru Impreza WRX STi.Media Day .Symmons Plains .Targa Tasmania 2010.26th of April 2010. (C) Joel Strickland Photographics.Use information: This image is intended for Editorial use only (e.g. news or commentary, print or electronic). Any commercial or promotional use requires additional clearance.